Pedometrics 2019 will take place in the heart of the University of Guelph campus. The conference sessions will take place at the Thornbrough Building with other activities in the Summerlee Science Complex and in the Alexander Hall. There will be a variety of accommodation options available from budget student residences to 5-star hotels within walking distance from the conference venue. The budget residences including East residence and other student residences offer a variety of accommodation options on campus. 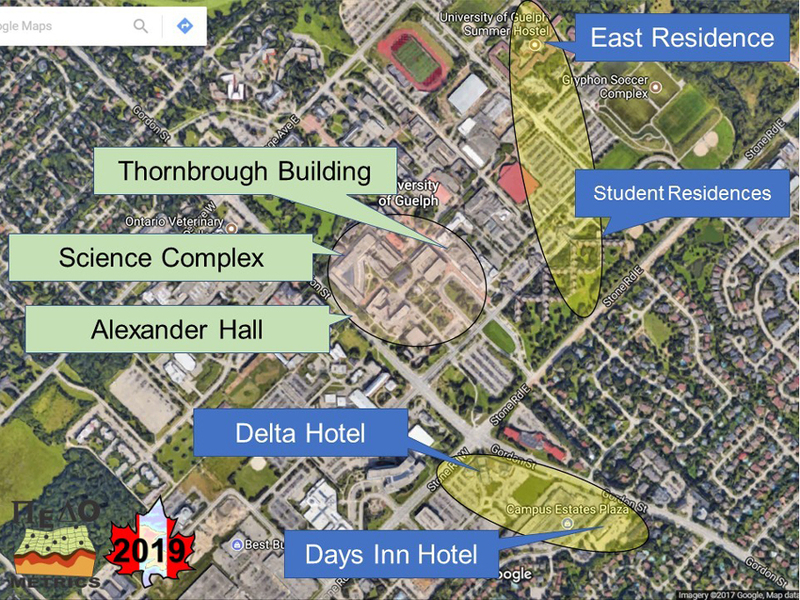 In addition, hotels including Delta and Days Inn are located just across the road from the campus and less than 5 minutes’ walk. A few other hotels are also available within a 10-15 minute walk from the venue.